I am pleased to say that Series Three is finally released. It has been a long journey to getting this completed and so I would like to thank all those people who have been in touch regarding Series Three for their kind emails and patience. Series Three follows on from Series Two with a focus on developing a closer relationship with the Spirit of Jesus. It lays a foundation for greater spiritual growth with the goal that we might come to truly abide in the presence of God. 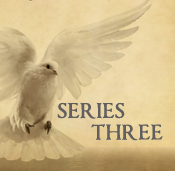 Series Three is available for download in the formats below. Please note that the Smashwords ePub will work on Nook devices until Barnes and Noble release Series Three through their store. Please check back over the coming weeks for links to the paperback. Once again, thank you for your support. May God bless you richly as you read these studies. Your One with Christ Series has been a blessing to my wife and I as we study God’s word together. A very wise man once told me that “growing in Christ is learning the basics better and better.” Experience has confirmed the truth of that statement. Looking forward to Series Four and Five. Please email any updates or new articles as they are posted. Thanks for your feedback–I’m rapt that you’ve found some blessing in the studies. I wholeheartedly agreed with you about learning the basics better and better, and this is essentially the focus of the One with Christ studies. Some good news: Series Four is finally finished and will be up on the website any day now. I’ll email you directly when it’s available. On with Series Five now!